Commenting on the recent successful pop-up launch tests of a Russian-made intercontinental ballistic missile on the advanced Barguzin rail-based strategic missile complex, German media have sounded a clear alarm, calling it "a nightmare," however noting that it comes only in response to the west's build-up on Russia's borders. The testing took place at the Plesetsk Cosmodrome in early November, and paves the way for full-scale flight development tests. "Pop-up launch tests are conducted to determine whether the complex is operational. The missile and the transporter-launcher container were developed some time ago, but the launching platform is a novel solution. The trials are meant to test its performance," Russian Defense analyst Victor Murakhovsky told Radio Sputnik earlier in November. The test marks the revival of the nuclear-trains project originally dating back the Soviet-era. 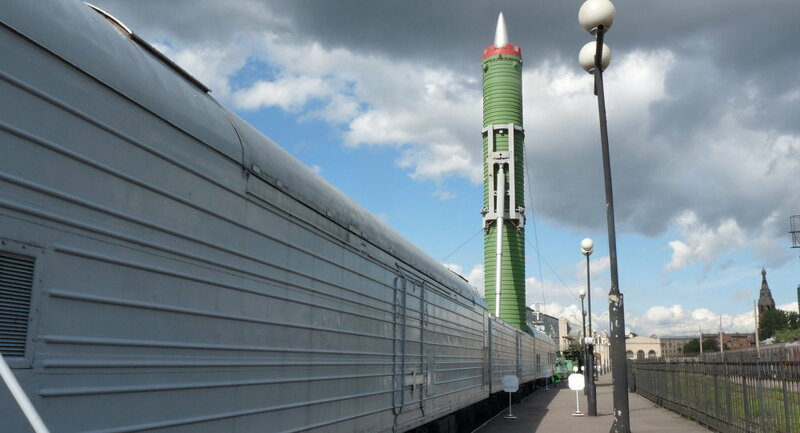 In 1987, the USSR decided to place its missiles on railways, taking advantage of its large and diverse railroad network, in which a train could hide from satellite reconnaissance. 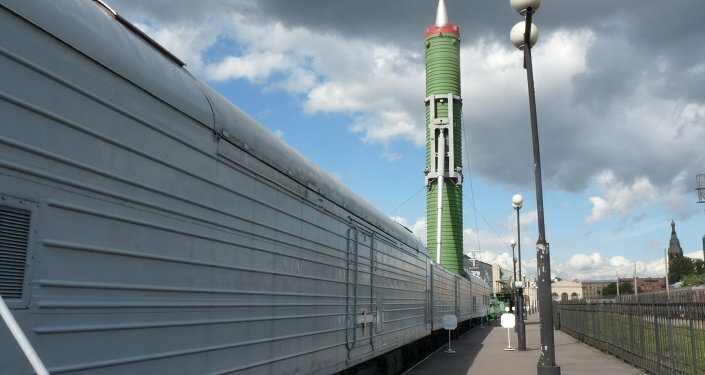 Each of the 12 Soviet ‘nuke trains' was armed with three RT-23 Molodets (SS-24 Scalpel) intercontinental ballistic missiles (ICBMs) carrying 10 warheads. From space, the trains looked like ordinary refrigerator cars. The combat railroad missile system that was handed over to the October railroad's central museum at Varshavsky station, St. Petersburg, in 2006. In accordance with the START II treaty, Russia removed these trains from operational use in 2005 and completely decommissioned them in 2007. The new project, codenamed "Barguzin" after a strong Baikal wind, is not subjected to the treaty and surpasses its predecessors in capabilities. 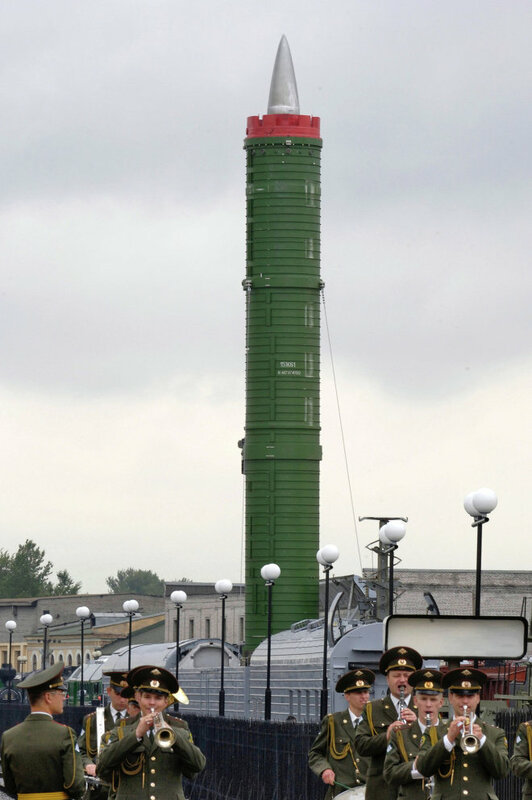 Every "Barguzin" train will be armed with six ICBMs RS-24 Yars (a land equivalent of the submarine-launched Bulava). The new "nuke train" is similar to a nuclear-capable submarine in its function. The cars are so solid that they can resist the explosion of a nuclear warhead just several hundred meters away. A train can run for a month autonomously and travel up to 1,000 kilometers per day. The system is expected to be developed by 2018. 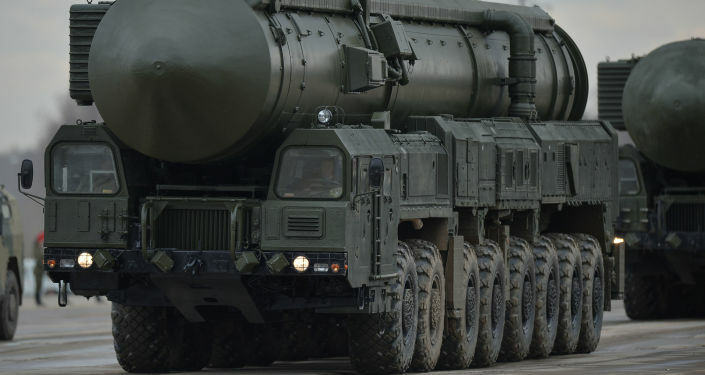 Five "Barguzin" regiments are expected to enter Russia's Strategic Missiles Forces by 2020. "Soviet-era platforms employed railway cars, different in size from standard rail carriages. The new missile complex fits onto the standard rail gauge. The wagons carrying [the recently tested] missiles resemble a freight refrigerator car for instance," Murakhovsky explained. Commenting on the recent tests, German news website Welt.de and news magazine Stern have called the train "a nightmare." However the outlets note that the revival of the so-called "ghost trains" comes in response to what Moscow sees as the "West's crossing of the red line" in Eastern Europe, right on Russia's borders. The outlets point to NATO's military build-up in Eastern Europe and in the Baltic states. In a separate comment on the issue, Russian military commentator Vasily Sychev noted that Barguzin emerged only in response to the US' Prompt Global Strike (PGS) project, which is a system that can deliver a precision-guided conventional weapon airstrike anywhere in the world within one hour, in a similar manner to a nuclear ICBM. Such a weapon would allow the US to respond far more swiftly than is possible with conventional forces. In September 2014, President Putin mentioned PGS among a number of the new threats Russia faced, along with the US Ground-Based Midcourse Defense system in Alaska, the Aegis Ballistic Missile Defense System in Europe, and increased NATO activity in eastern Europe. Deputy Prime Minister in charge of defense industry Dmitry Rogozin warned that Russia would upgrade its strategic nuclear forces and aerospace defenses in response to the PGS system. Victor Murakhovsky said that those who refer to the train as "a sheer nightmare" for foreign intelligence services have every reason for such a reference. 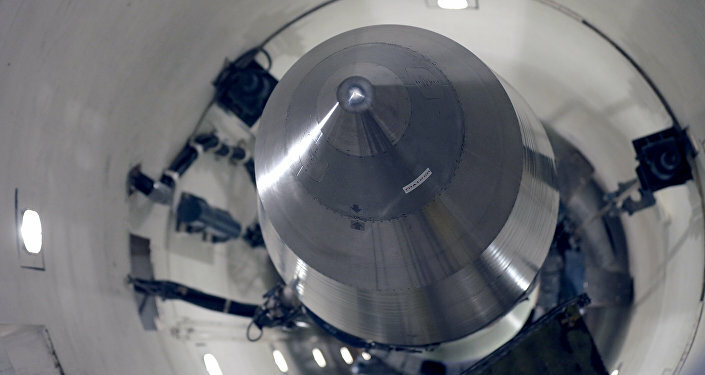 "I would agree with this since there are no attributes which could be used to detect this rail-based missile complex," he said. "There is a new launching platform and a new combat control system which uses protected digital communication channels. There are new input programs for missions," he detailed. Hence the German media is right in its alarm that the feared Russian trains will be able to capture any strategic targets in the West. The trains however will remain solely on the Russian territory as the size of Russia's railway gauge is broader than that of Europe. Rail tracks in the territories of Russia and the former Soviet Union were constructed using broad-gauge track (1,520 millimeter, or roughly 5 feet). Most European railways west of the Baltic states, as well as 60 percent of the railways in the world, use standard-gauge track (1,435 millimeter). The origins of the difference in rail gauges between Europe and the former Soviet Union extend back to the 19th century. For Russia, the different rail gauge served a strategic military purpose by complicating the ability of hostile militaries to move troops and materiel into the country by rail.